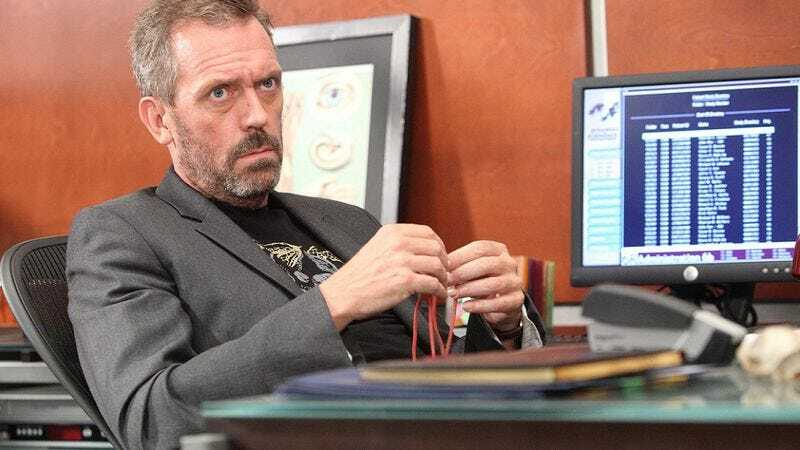 Hugh Laurie is getting another Chance to play a TV doctor as Deadline reports that the erstwhile Dr. House has signed onto Hulu’s new medical thriller. (In case you didn’t pick up on it from the previous sentence, the title of the show is Chance.) If the prospect of watching Laurie play the eponymous doctor of another drama wasn’t enough to pique your interest, Deadline also reports that Room director Lenny Abrahamson will helm several episodes of the series, which has already received a two-season order from Hulu. Chance has been adapted from the novel of the same name by author Kem Dunn and Alexandra Cunningham (Aquarius), the latter of whom will also serve as showrunner. Laurie, who was eyed for the lead since the show’s inception, will star as Eldon Chance, a neuropsychiatrist who gets “sucked into a violent and dangerous world of mistaken identity, police corruption and mental illness”. When Chance’s judgment is clouded by a patient’s “allure”, he finds himself being targeted by the woman’s husband, who just so happens to be a ruthless police detective. The neuropsychiatrist will also have to contend with his own divorce while raising a teenage daughter and venturing into the “shadowy, undiscovered country of the human mind.” There’s currently no word on whether Chance will have a trio of newly-minted neuropsychiatrists to bounce ideas off of and otherwise browbeat.